There is nothing like taking an evening out to get the blood flowing. Last night, we went to see Hairspray at the State Theatre. That movie is one of Markie’s favorites, and with her birthday in a couple days, it made for an easy gift. That performance was awesome, and I am glad we went. Getting back to the blog, I still have a couple movies I must catch up on. 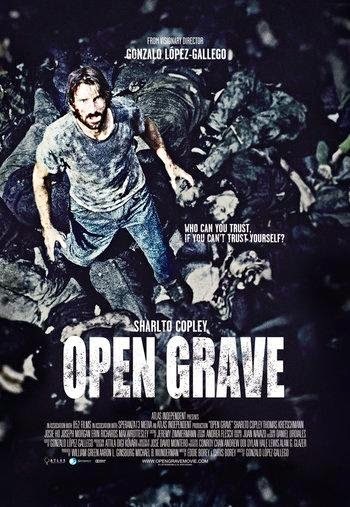 The first is the 2013 mystery/thriller Open Grave. Plot/ A man wakes up in the wilderness, in a pit full of dead bodies, with no memory and must determine if the murderer is one of the strangers who rescued him, or if he himself is the killer. After a few days focused on homework, as this creative writing research class is pushing my limits, I decided that it was time to jump back into the blog. While I have watched some interesting flicks recently, one jumped out to me at Family Video and made me grab it. 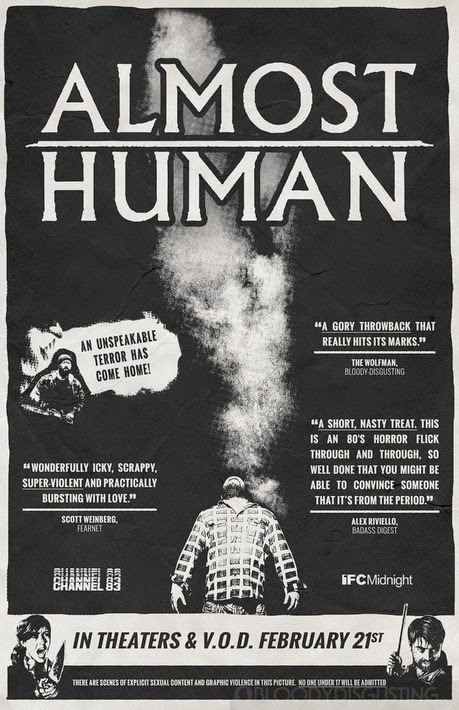 That film is the independent alien / slasher flick Almost Human from 2013. Plot/ Mark Fisher disappeared from his home in a brilliant flash of blue light almost two years ago. His friend Seth Hampton was the last to see him alive. Now a string of grisly, violent murders leads Seth to believe that Mark is back, and something evil is inside of him. After a couple days of working on some homework and finishing some writing, I decided it was time to jump back in for some reviews. While I am currently watching some alien stuff right now, it is nowhere near as surreal as the next film for review. That movie is the 2013 entry Under the Skin! Plot/ A mysterious woman seduces lonely men in the evening hours in Scotland. Events lead her to begin a process of self-discovery. With my first week of the new quarter in the books, and finally feeling like myself again, it was time to finish the reviews on the movies I watched during my illness. As of this point, I have movie Darkroom and this found footage flick left on my list. 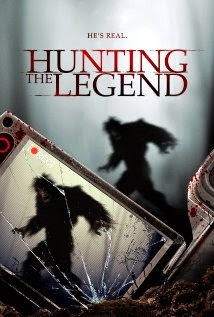 Next up, the 2014 entry Hunting the Legend. Plot/ In 2008, a deer hunter was taken by something in the Alabama woods. Only his rifle, blood, and a 16" footprint were left behind... Five years later, his son seeks revenge. I finally feel like I am back to where I was before I got sick. For most of the week, I fought through some lingering fatigue issues, as I had to return to the institute for a new quarter. With some energy now in place, it was time to get back to the block. 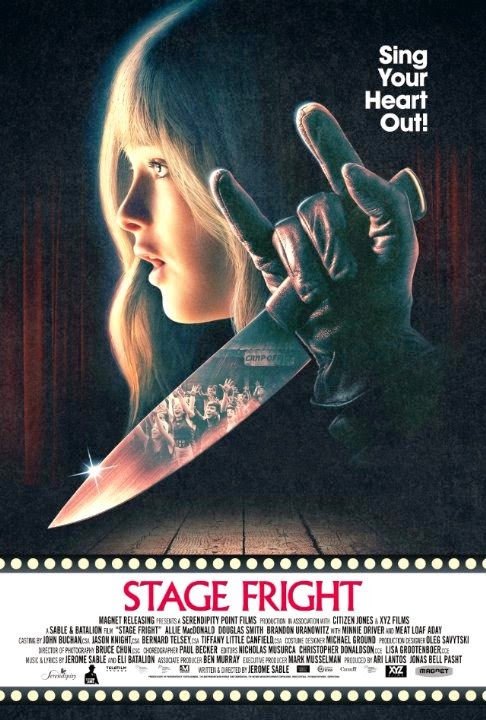 Next up on the chopping block is the 2014 horror musical Stage Fright! Plot/ A snobby musical theater camp is terrorized by a blood-thirsty killer who hates musical theater. As my sickness took hold this week, I could not believe the amount of movies that I had not had a chance to review prior to falling ill. During this vacation from the institute, I decided to venture into a few different genres in my viewing, as well as some more of my favorite no-budget indie entries. 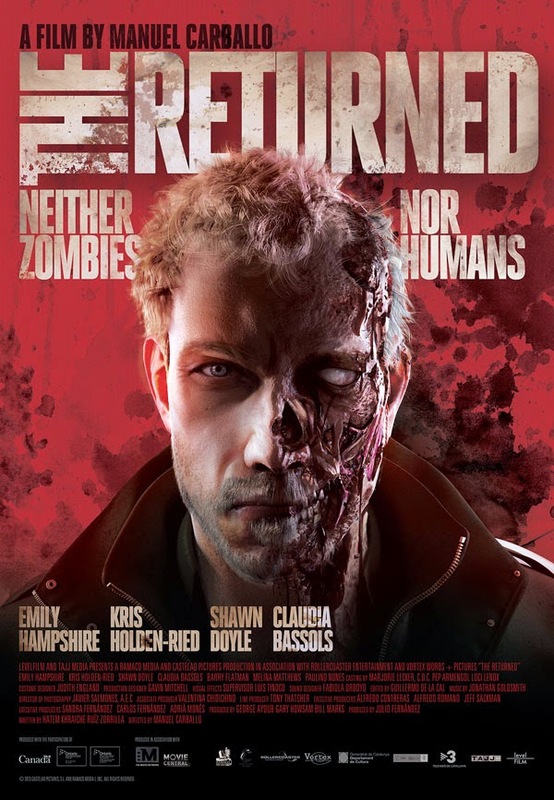 This next review is on a an interesting zombie flick from 2013, The Returned. Plot/ In a world where a deadly zombie virus has infected some of the population, a single cure has been found. The cure, a treatment which stays the effects of the virus in its host. With injections every 36 hours, the Returned are able to live as though they were never bit, despite the virus still coursing through their veins. When it is discovered that the protein stock is running low, chaos hits the streets. Well, I thought that I made it out of the woods with this stomach flu, but I was wrong. Whatever this was, I wish it on no one. I am just happy that I did not pass it on, and was able to recover enough to make it to the Comets playoff game last night. Unfortunately, we lost, but it was a great season! 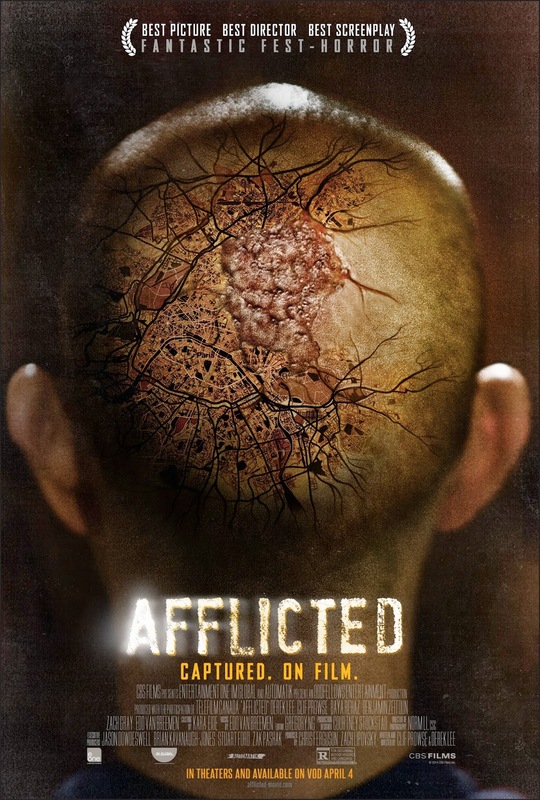 The unfortunate thing about my illness was that I did not have the energy to even watch any movies, so this review will be from a movie I watched over the weekend and am now catching up on, the 2013 found footage flick Afflicted. Plot/ Two best friends see their trip of a lifetime take a dark turn when one of them is struck by a mysterious affliction. Now, in a foreign land, they race to uncover the source before it consumes him completely. While, what a difference a day makes. I am not sure what does have me, but something is beating me down. Maybe it is all of the running that I have been doing, but something has punched me in the gut and is definitely keeping me laid up. 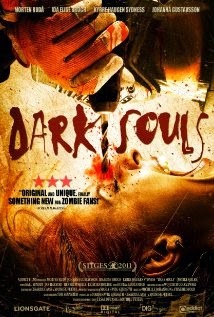 However, I still have some energy left to push out my next review for the 2010 Norwegian horror flick Dark Souls. Plot/ A revengeful father embarks on a dark thrill ride of lost memories, conspiracy and zombie-like symptoms. 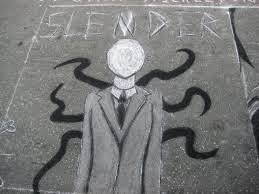 Finding the mysterious darkness within is the source of the bizarre world he has uncovered. After spending some time in the giallo regions, I decided it was time to check out a slasher. While I should grab something from my movie collection (which I am pairing down at the moment), I decided to hit Family Video to see what they had. My selection for the night was the 2014 entry Blood Widow from Midnight Releasing. Plot/ After buying a nice house in the country, Laurie and Hugh, a successful young couple, throw a party for their friends. During the wild night a few friends decide to explore the abandoned and decaying boarding school next door, only to wake an emotionally broken killer: The Blood Widow. This is a micro (non) fiction piece I did for class, about a rock throwing experience with my friend Sasquatch. The southwestern Pennsylvania air was heavy as the oppressive May drought continued to plague the area. Eric and I ventured out in search of the legendary creature that some say inhabits Chestnut Ridge. Crack! A loud crash echoed through the forest; something was there stalking us. 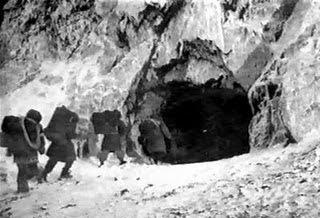 The aroma of death drew us into the dark cave. The musk saturates the den. Random bones litter the darkness. The uneasy feelings grew louder as we ventured deep inside. Deer, rabbit, and mountain lion remains are everywhere; some creature definitely calls this dreary abyss home. Is it just a bear, or is it what we came for: Sasquatch? I thought. Snap! A branch crashed outside the entrance; the creature was close. We ran toward the dense thicket of pine hoping to see the beast, to force the animal into the clearing. There, we will finally have proof Bigfoot was real. Crack! I always enjoy spending time with micro-budget independent cinema. To me, there is nothing better than watching some of these titles as they are often journeys into strange worlds that at times make little sense. Of course, they also tend to take on more than their budgets will allow, and lead to some strange inconsistencies. The next movie does come from that cloth, the 2014 entry from Brain Damage Films, City of Lust (AKA Yellow). Plot/ A modern Giallo horror film, This tells the story of a lonely young woman who begins an unlikely relationship with dire consequences. The Fourth of July is often one of those days that cause mixed emotions. While I enjoy the cookouts and relaxation, the drunks with the fireworks on every corner can make it a touch annoying. But, I would prefer dealing with those idiots more than dealing with a totalitarian society that wants to control everything… Oh wait this is the Obama administration. 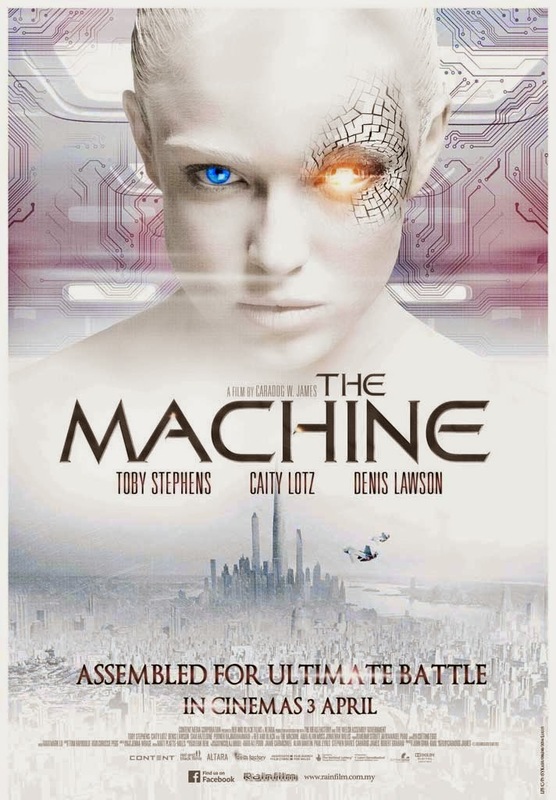 Next up for review is the 2013 Sci-Fi / Thriller The Machine. Plot/ Two artificial intelligence engineers come together as they work to create the first ever self-aware artificial intelligence. Things go wrong when the Ministry of Defense takes over and advances the researchers' work to the next level, teaching the AI to kill with its new and nearly indestructible body.